This class provides an introduction to the various 3rd party Market Database websites, such as EVE-Central, EVE Marketeer, and EVE-MarketData. We will describe what exactly they do, how you may contribute, and how you may access and utilize the data. Welcome to this class on Market Database websites! We will concentrate on a single site, specifically EVE Marketeer, but the ideas will be applicable to most all of the other marketing sites. We will also cover how to use GoogleDocs Spreadsheets to perform automated price lookups in Jita, and other tasks. This class is entirely lecture. There are no live exercises. When we get to the GoogleDocs Spreadsheet portion, it may seem like a lot of complicated programming for those unfamiliar with advanced spreadsheet functions. But we'll try to explain things so that anybody can understand it. 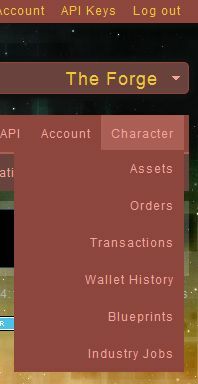 Some will require an API key to access characters, assets, etc. 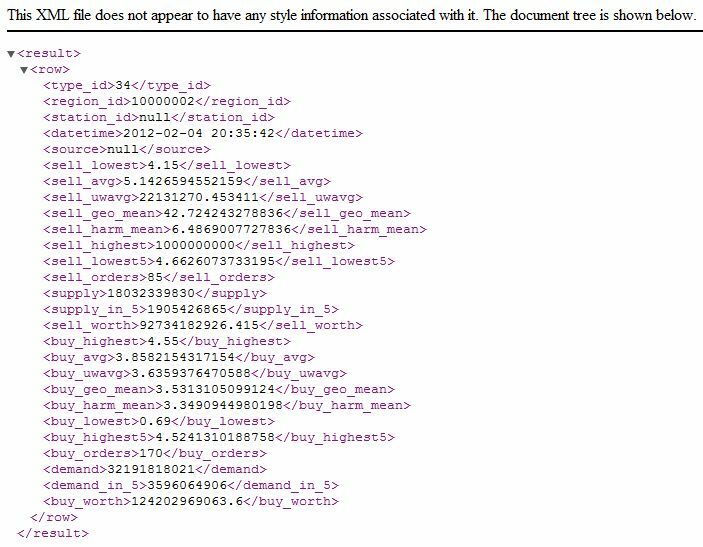 in the URL http://www.evemarketeer.com/api/info/34/xml it is the "34"
customize the data being referenced by changing "//result/row/sell_lowest5"
This page was last modified on 4 February 2017, at 09:20.